1985 specification highway marker. Manufactured between 1985 and 1995. 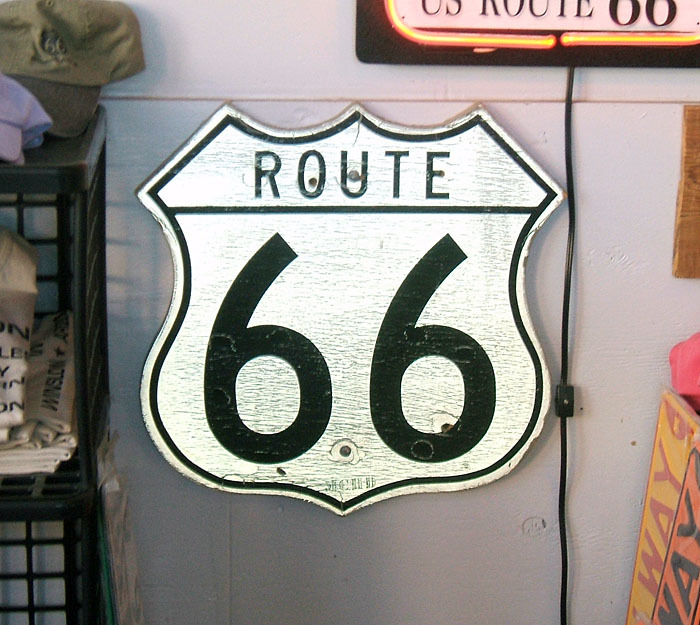 County-issued highway marker, now found in a gift shop in Winslow. 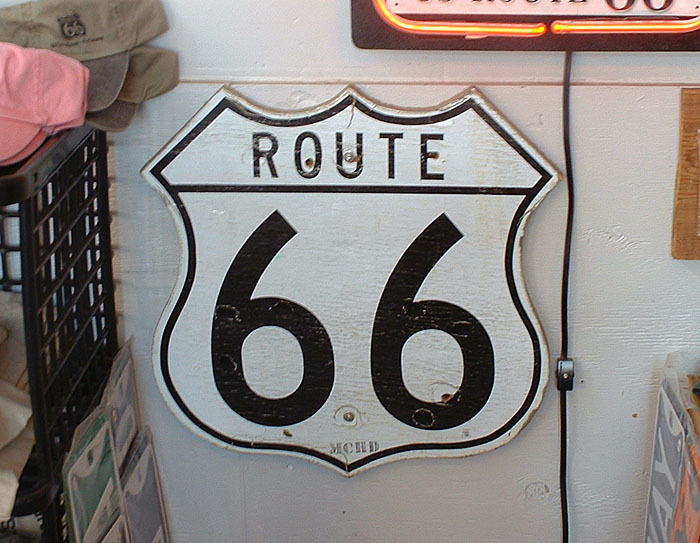 It is the only known genuine highway marker that has the word ROUTE. Likely it was from the time between the route's decommissioning in Arizona and its formal recognition as a historic route. Photo by Jake Bear and Daniel Brim, 2006.